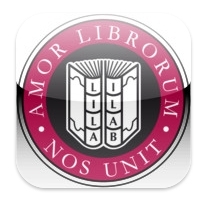 The International League of Antiquarian Booksellers (ILAB) has launched an ILAB Mobile App which is now available in the Apple Store and the Android Market. 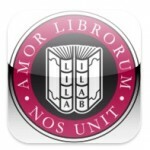 Search for “ILAB rare books” or “International League of Antiquarian Booksellers” to find the free App ready to install on your phone. A Blackberry version will follow soon. ILAB represents 1,850 of the World’s best booksellers dealing in fine, rare, old and collectable books in all fields. Search for them and their books. If you are away on business or pleasure with an hour or two to spare: use the locator to find the nearest dealer to wherever you are and get directions by foot, car or public transport. Use the ILAB App to access the ILAB website and find a veritable goldmine of information for the collector, librarian, dealer or anyone who just loves or is interested in fine and rare books, maps and manuscripts. Find out the dates and locations of upcoming antiquarian book fairs, lectures and exhibitions around the World. All dealers affiliated with The International League of Antiquarian Booksellers (ILAB) abide by a strict code of ethics and good business practice. Use this App to access them and their stock. Many have open shops. All of them are experienced and are experts who can help and guide you. Many ILAB dealers also buy books from the public. You may sell your books to an ILAB bookseller with confidence and save up to 40 % in auction commissions. Many of our affiliates also undertake valuations. This App will help you identify the right one for your needs. If you quickly need an unexpected gift, an old book makes an unusual and popular present. Ask your nearest ILAB dealer for help. If he doesn’t have what you want he will help you to find someone who can. Take your phone, browse the Apple Store or the Android Market and find the World’s best booksellers: wherever they are and wherever you are!